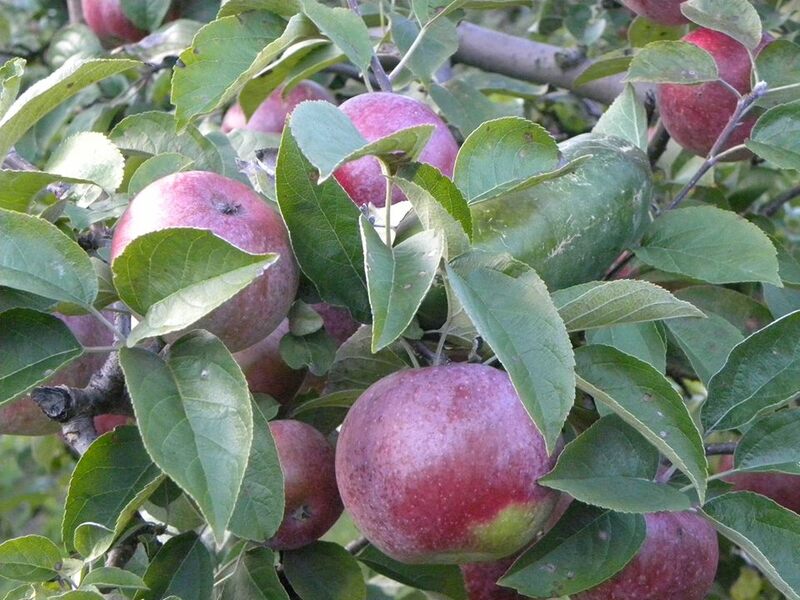 U-Pick Apples – Starting September 7th, come pick your own Macs, Cortland, and Empires! Later varieties will begin in October. Free Hayrides and Petting Paddock – Starting Saturday September 14th, every weekend through October 14th our Petting Paddock and Straw Maze will be open and our Free Hayrides will be running! The fee to enter the Petting Paddock is $2.50/person and includes a cup of feed. Columbus Day Hours: 11am – 3pm. Make sure you get the most out of fall, here’s a list to help you out! 1. 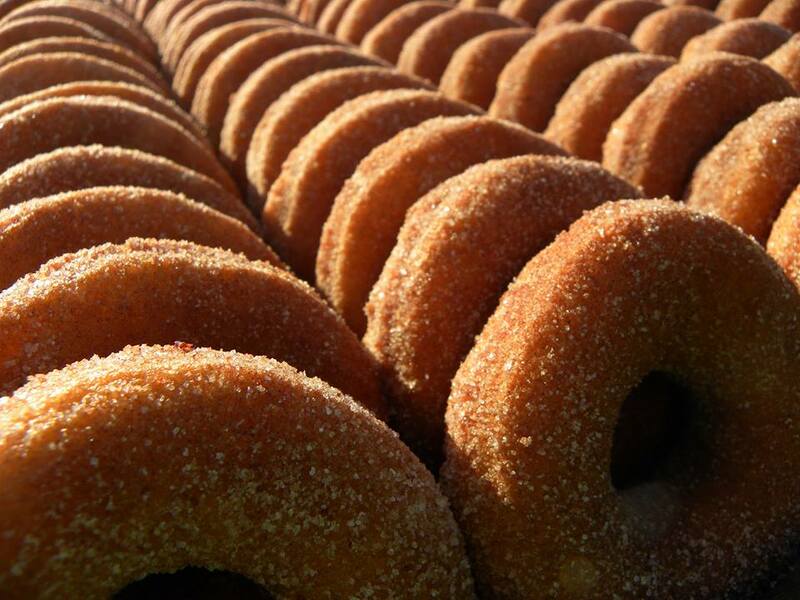 Try the BEST apple cider donuts in the Region! Weeks spent perfecting our apple cider donut recipe paid off when they were voted best in the Capital District by Times Union readers! We’re honored by this recognition and invite everyone to come give them a try…maybe you can identify our secret ingredient?! Come pick your own apples or purchase some in our store. Whether you’re a serious apple picker, or just interested in picking a few for fun, you’ll find it at our farm! Call us for the most up-to-date picking information. 3. Pick your own fall raspberries! Not ready to see summer go? Extend it by picking this summer-flavored berry! Picking goes until the first frost. Get off at the different stops or stay on, and ride around. Our free hayride will drop you off or pick you up at the Barn, Petting Paddock, pumpkin patch, and the far apple orchard. Hayrides run approximately every half hour from noon to 5pm weekends starting September 15th through October 14th as long as the weather permits! Columbus Day hours: 11am to 3pm – weather permitting. Can you pick a perfect pumpkin? We’re sure you will be able to find one at Kristy’s Barn! Walk or take a free hayride on weekends down to the patch or search around The Barn for a pumpkin that will make a great Jack-O-Lantern! Pumpkin fun begins the end of September – call us for more information! Ever wanted to hang out with a duck, pet a goat, or feed a lamb? Well you’re in luck! From noon to 5pm you can feed and pet the farm animals in our Petting Paddock- While you’re there make your way through our straw maze! Petting Paddock and straw maze is open every weekend from noon to 5pm through Columbus Day, weather permitting. Cost is $2.50/person and includes a cup of feed and entrance to our Straw Maze. Apple, Apple Crisp, Apple Walnut and many more! We’ve got them, or we’ve got the supplies if you want to bake your own! Want to reserve a pie for Thanksgiving? Call us at the store to get added to the Thanksgiving Pie List, then pick up your fresh baked pie the day before Thanksgiving. We have beautiful mums, corn stalks, straw, mini pumpkins, gourds, Indian corn, pumpkins, and more. If you want to get into the fall spirit, we’ve got you covered! 10. Plan a Bonfire or Group Tour! Kristy’s Barn offers affordable bonfire parties great for clubs, groups, families, and friends! These bonfires start out at the store, where groups load onto the wagon for a moonlight ride to a secluded bonfire destination. Once there, groups can enjoy apple cider, donuts, and other snack packages. Contact us to find out the details. Not so interested in the dark? Kristy’s Barn offers group and school tours tailored for your specific group. These hands-on walking or wagon tours allow children to learn about farming, our agricultural practices, and see where their food comes from. Farm animals such as ducklings, calves, and sheep, can make guest appearances too! Contact Kris using the form below, or call her Monday – Friday between 9am and 3pm for more information. 11. Sit back and enjoy the view! I know we said we only had ten for you… but here’s one extra you might enjoy! We know that fall can be a busy time of year so we invite you to schedule some time for yourself this fall and Kristy’s Barn! Meet a friend, enjoy your family, or just take an afternoon for yourself. We’ve got picnic tables, rocking chairs, snacks, and a terrific view of Thatcher park and the Heidelberg Mountains! Come see for yourself.